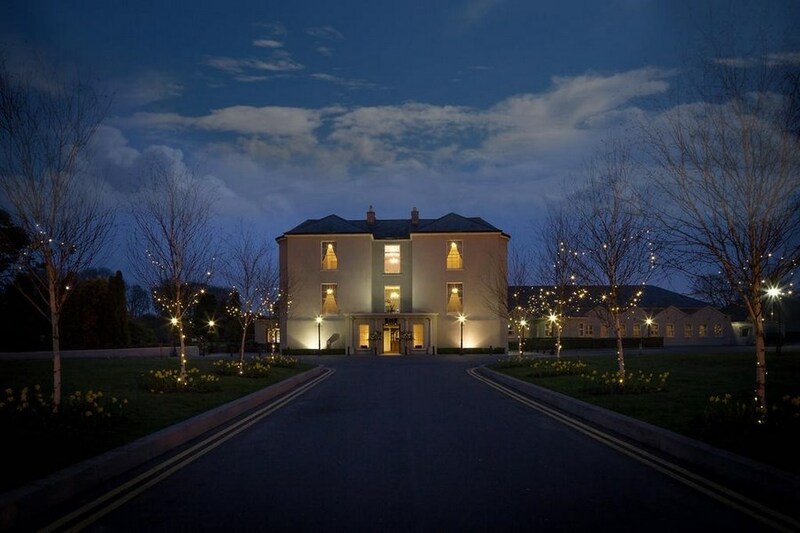 Celebrating 50 years as one of finest family Hotels in Ireland, the County Arms Hotel offers Kids club throughout the holidays from 10-3 and a supervised movie each evening. The whole family will love the Springs Leisure club with kiddies pool and jacuzzi, sauna, steam room etc for the adults. Set on 9 acres of grounds, there is a sense of safety and freedom at the County Arms Hotel. Birr is a gorgeous Georgian heritage Town with great pubs and friendly shops and cafes. From Dublin and North take the M6 and turn at Tullamore (N52) for Birr. From South Dublin, Kildare etc take the M7 and turn at Roscrea (N52) for Birr. From Cork M8 to Horse & Jockey, turn for Birr via Thurles, Templemore & Roscrea. Local highlights include riverboat on the Shannon, Birr Castle Gardens and the historic Science Centre. Free things for families include Skate Park, brilliant playground, Lough Boora Parklands or family treasure hunt and loads more. Some confusion over room booking which was sorted fairly quickly which appeared to be done by giving us a standyby room. However there was no toilet seat on the toilet & fan was running in the room all night despite us turning off the electricity. Nice breakfast. We had a very enjoyable two night stay at the County Arms, Birr. The staff were very helpful and cheerful and the pool facilities were great for the kids to play about in. There was plenty of interesting things to see and do in the area - for example right outside the hotel is a monument marking O'Farrells field where the first all-Ireland hurling match was held! I would highly recommend going to discover the heart of Ireland for yourself. Would definitely stay in again - went for a night with two young kids (8 + 6) and they loved the pool. Food in the bar was very impressive, good kids options too. Birr is a really good looking town and there's an excellent playground down the road from the hotel. The hotel is very nice but can't see how it's "4 star" - but we weren't looking for that so overall very happy. Nice Hotel and very friendly staff. Kids enjoyed it,especially the sweet cart and pool. We really enjoyed our stay last week-end in the County Arms Hotel Birr. 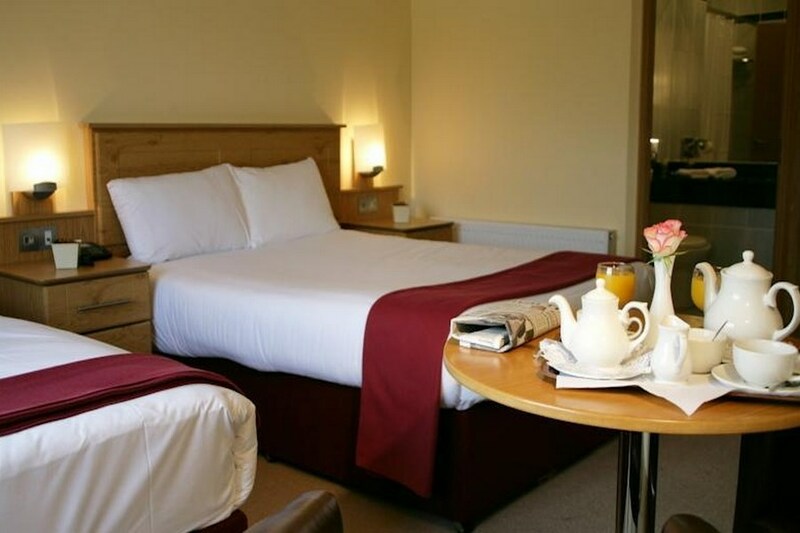 The room was comfortable, the staff really helpful and friendly and the food was lovely. We were delighted there was so much to see and do in the area. It was a very enjoyable and relaxing week-end. What more could you want. very good value staff professional ,food very good nice pool. Hi we stayed Sunday 21/6/15 very pleasant receptionist. The room was very clean and our two young boys enjoyed the bunk beds. We had a meal that night and it was very nice the staff very young and not very experience. A bus tour was also been fed. The pool was lovely we were in it the evening we arrived and next morning also. We thoroughly enjoyed our stay at this hotel. It was easy to locate and breakfast was lovely. We recently stayed in the County Arms hotel in Birr, and to be honest the worst thing about it was the appalling weather all weekend. We arrived late due to the aforementioned bad weather, only to find there was a bikers convention on that Friday night. We were dismayed, thinking as you would that the bikers were on a let all loose weekend and all the other guests would suffer. This was not the case. The bikers were very respectable fellows on the whole, keeping to themselves, and not disturbing anyone. However, as we were late, despite having an early evening dinner before we set off, we were peckish, and at 10.10pm we asked if it was possible that we could get sandwiches/soup or anything at all? We were told quite abruptly that the kitchens were closed and food was over. We asked for take out menus from take out restaurants that would deliver as the hotel is quite central only a short walk into the town centre. We were told they had none. Several young people were seated next to us, and one was the singer/guitarist in the bar for the evening, one got the impression they were family or family friends, as it is a family run hotel. Food in the form of finger food was served to their table ten minutes after we were told the kitchen had closed, we looked enviously and ravenously as they ate their fill and left a lot uneaten. We complained to the staff at the bar who blank faced us for any explanations as to why some people were eating while we could get nothing.. We were the paying guests. Simply shouldn't have happened. As a hotel employee, shall we say, it wouldn't have happened in my very, very busy Airport hotel. All in all, what was good: the leisure centre hit the mark. The bar man who improvised and tried to make me the cocktail I wanted was helpful, the receptionist was professional, the room was clean, if not fantastic. I would say more 3 star than 4 all in all. There was no stopper in the sink and no toilet brush, and with no room service menu, this to me is a non-brainer......as far as I am aware all 4 stars need to have a room service menu?????? My wife & I had a lovely stay in the County Arms Hotel so much so tha we have booked another 2 nights in September, the hotel was homely, staff extremely friendly & helpful, everywhere spotless clean & food very nice, we were very lucky with the weather & spent a good bit of our stay sitting in the gardens, we would highly recomend this hotel. Cathal Byrne. On request for bigger family room, the staff were helpful. Family room was spacious and pool was good. Found the service was very slow over the bank holiday weekend. Evening meal on the Sunday - the meals were cold on arrival but was resolved on complaining to staff. Breakfast service was annoyingly slow on the Sunday. Bar staff was also very slow. Would not recommend this hotel to friends unless they radically improve the service levels. We stayed for a weekend break with our 2 boys in a family room. The room was perfect with bunk beds for the kids. The hotel is lovely and clean. Staff were friendly and food was good. The boys loved the pool and there is plenty to do in Birr which is a really nice town. great family room, great breakfast, great staff, bar needs a little music as feels like canteen and pool little dangerous for kids as pool has no shallow end, kids pool more like fish pond, bring arm bands. Birr niice place, castle bit off ripp off. Thoroughly enjoyed our stay here. Will go back some time. The staff where friendly and extremely helpful. Birr is a town with history and a trip to the Castle is recommended. The town offers some good shops and cafes. My Mum and I had a lovely one night break here. Th e staff were very friendly and helpful. The food was good and we enjoyed the leisure facilities. We received a 2 for 1 voucher on leaving, which was a nice surprise. Excellent Hotel. Facilities, food and service all first class. came upon this hotel by mistake, however it was worth while. would recommend for couples or families, there something for everyone!!!!!!!!!!!! Excellent hotel. Very friendly staff. Most enjoyable break. Very good value. Really good 4 night stay with our 2 children recently. Fantastic leisure club open all day, a highlight for the children. Family room large and comfortable. Food in the bar very good, daily specials and a wide range of childrens options all reasonably priced. All staff helpful and friendly. Very central location and an ideal spot to explore the area. Overall, good value and high standard. No kids club when we were there though. We had a lovely stay in the County Arms Hotel in Birr. The lady at reception was very friendly and helpful. Our room was large and bright. The meal in the restaurant was fabulous. It was hard to choose there were lots of nice options. There was a great choice for breakfast. The pool was fantastic. The kids loved the swimming toys. The kiddies corner was safe. The water was of a nice temperature. The changing rooms were clean. We enjoyed the playground just down the street from the hotel and also the treehouse at Birr Castle. We'll definitely be back for another stay! Staff friendly. Dinner menu very limited very little choice. Breakfast very small portions. Thought hotel room could do with a bit of updating. Hotel rating felt more a three star rather than four star. Fantastic Hotel, the staff were excellent and the rooms were perfect. was very pleased and will most certainly visit again. We had a lovely stay, food was fabalous and sevice was good. The swimming pool was lovely and clean and the room was also lovely. We all enjoyed our stay. Enjoyed our stay. The rooms were spotless. Great staff. Extremely helpful. Decent swimming pool & spa facilities. Breakfast left a bit to be desired but we usually ate towards the end of the service. Would go back. Excellent value. I attended a wedding and stayed in the hotel overnight. The whole experience was fantastic ... food brilliant .... service excellent ... a very fulfilling visit! We enjoyed our stay here, we did have a couple of issues but overall it was a pleasant experience. Pros: The staff are fantastic, every single person we encountered was very friendly and willing to help. The pool is great, kids loved it and we spent hours in there. Was a bit on the cold side but still enjoyable. Just maybe a suggestion for a few floating toys? Family room was a good size, we had a room with bunk beds and the kids loved it. Breakfast was good and plentiful. Cons: The food in the bar was dreadful, and expensive for what we got. We spent nearly €60 on dinner and we were sorely disappointed, it was far too expensive and was clearly just reheated frozen food, bland and dry. The kids meals were meagre. I would recommend going out of the hotel and finding somewhere else to eat. There was no hot water in the changing rooms of the pool or in our room for a good few hours, I had to have a freezing cold shower after the pool and I couldn't wash the kids at all. We called reception and they were aware of it and it was sorted by the time we got back from dinner. Overall I would recommend for a family break, just go elsewhere for dinner. Spent a 2 nights break with wife and 4 children over the easter break. Had a great stay. Hotel very clean. Rooms spacious and very clean also. Kids loved the swimming pool particularly the whirlpool. We also ate in the bar which was reasonable. 50 Cent for large glass of lemonade for the kids was also reasonable and a nice change from the usual €2 plus. Would certainly stay again. Kieran Duffy, Monaghan. Really enjoyed our 2 nights in the hotel over Easter, dinner in the hotel on the Friday evening was lovely and really enjoyed walking in the Slieve Bloom mountains on the Saturday, on the Saturday night we had a few drinks in The Chestnut in Birr which was a great find! we had a very nice weekend in the county arms on st patricks weekend. 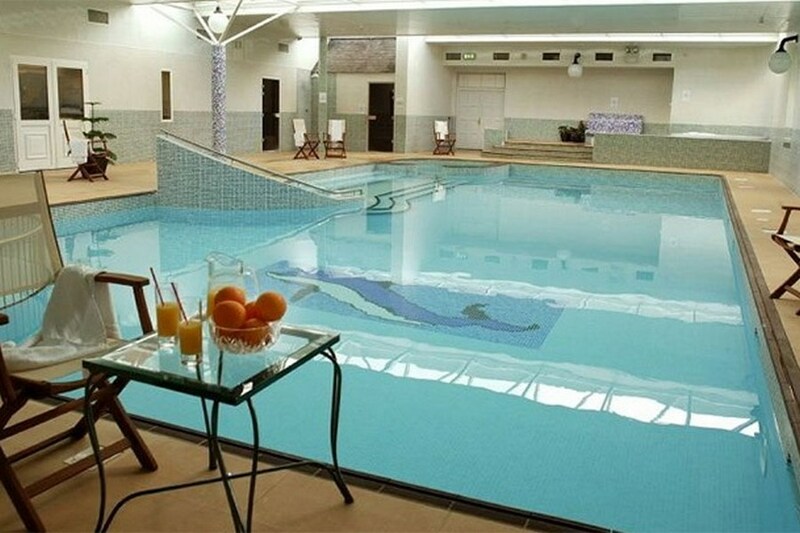 It has a lovely swimming pool and is very child friendly. We were disappointed there was no housekeeping service unless you asked for it. We had to call down to reception for clean towels. Also there was no hot water on the night arrived and despite telling reception about it nothing was done about it. The staff are really friendly and helpful. The food is lovely. A great atmosphere. The Beauty Salon is excellent value. I would recommend this hotel. We are just back for a great St. Patrick's weekend at the County Arms Hotel. We had a lovely stay, we had a family room with queen bed, bunkbeds and a travel cot for the baby, the rooms were spotless and cosy. We spent most of the second day in the pool which was also lovely, the staff both were very friendly and great with the kids. We will definitely be returning to this Hotel again sometime soon :-) (Dublin) x4 star from us. Last weekend my sisters and I stayed at the County Arms Hotel in Birr. We had a most enjoyable stay and were made feel welcome by both management and staff. Our room was lovely, comfortable and clean. (well done, house-keeping) We enjoyed a spa treatment and massage and again were treated so well by staff. It was my sister's birthday and all at the hotel made it so special. The food was excellent as were the dining room staff. I would not hesitate to recommend this hotel and hopefully will be back myself in the near future. Stayed in hotel for 2 nights and was very impressed with staff who were very friendly and helpful. Hotel facilities were excellent and room spacious and very clean.Location is within walking distance of town which was alot bigger than expected with nice walks and shops. Would recommend the hotel and we will definitely return. We stayed for 2 nights with our 3 year old son in a family room...lovely clean room, full breakfast each morning, superb staff,..very helpful with information on things to do in the area for toddler's..a receptionist even got bread from the kitchen to give to my toddler to feed the duck's in a near by lake! !All in all we found it superb value for money with extremely accommodating staff & very child friendly with a fab leisure complex...loads to do in the 2 days we were there. I stayed in the hotel for three nights and it was a great experience. The staff were amazing, the food was gorgeous, and the bedrooms were nice and big. The hotel is in a great location- within walking distance of everything Birr has to offer (cafes, adventure sports, shopping). The spa treatments were very reasonably priced for a hotel. The staff went out of their way to ensure you have the most pleasurable stay possible! Would highly recommend this hotel to anyone- old or young! we really enjoyed our stay in the county arms in co. offaly. the staff were very friendly and extremely helpful. the kids loved the leisure facilities. the room was spacious and cleaned every day. we stayed for 4 nights and were sorry we hadn't booked a longer stay. we like to think we will return again some day. thanks a million. arrived a little early, staff where very understanding, Cookies and milk for the kids, coffee for the adults as we waited for a short time while the room was prepared.Staff very friendly and informative about the area and events.Breakfast was good, staff efficent.Swimming pool clean and well staffed, good interaction with kids, ensuring each had a toy to play with if required.Good location for a family break.